Samsung Galaxy Star Advance G350E is not only a Smartphone that people use to make or receive calls or to do text messages, it is also the device that people prefer when it comes to the usage of internet, and this is mainly because it is a device that people can take with them easily and whenever they want. If your Samsung Galaxy Star Advance G350E Wi-Fi is not working or giving you problems then it is surely very important for you to fix it in the first place, as you won’t be able to enjoy most of the features that are associated with the internet in one way or the other. Wi-Fi devices not found by the phone. The very first thing that you need to do is to find any traces of water or moisture on your motherboard if there are then clean it properly and check. Check antenna wire for any kind of damage, if it then replaces it. P.S. 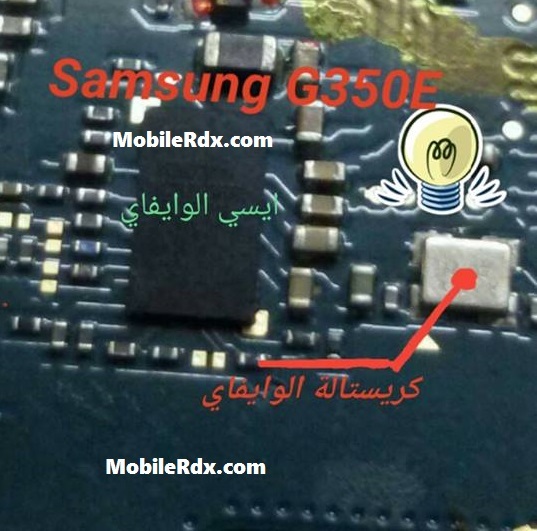 Replacing Wi-Fi IC of Samsung Galaxy Star Advance G350E isn’t that easy and you need to take the assistance of a professional in order to get the job done right for you.